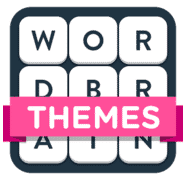 WordBrain Themes Answers, Cheats and Solutions for iPhone, iPad, iPod and Android. WordBrain Themes Nature Answers is a product of MAG Interactive and is available for free on iTunes and Google Play. It keeps you occupied for hours. This game is great as it keeps your brain active and you’ll find it hard to stop playing, You keep saying ‘one more level’, but then you just keep on playing! Here you have to find the hidden words from more than 580 levels. You’ll love this game that get your brain moving in the morning. Here you will find all the solutions for Wordbrain Themes Professional Travel answers. Hope you like our Wordbrain Themes Professional Travel answers. Some levels are harder than others, some words you see straight away yet others really test you. Especially when you have to rethink the letters you use to allow you to spell the second word!